Expo Milano 2015 materials tour: textile Brad Turner. December 14, 2015. 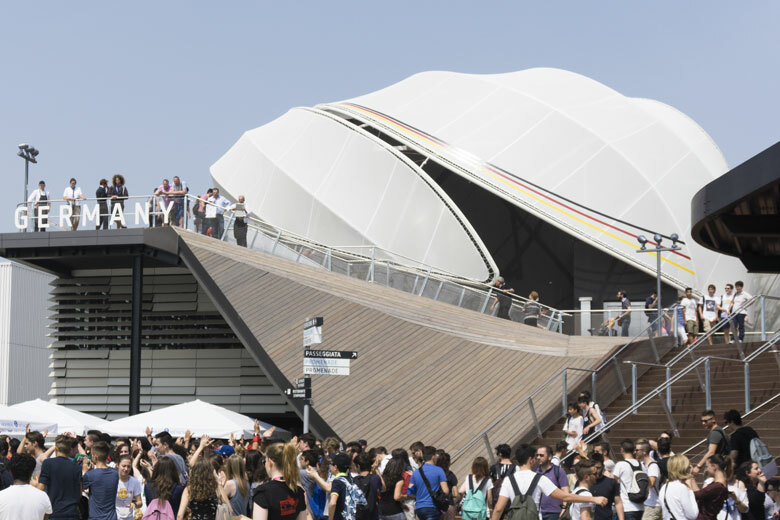 This summer, Materials Council visited the expansive (and no doubt expensive) World Expo, held this year in Milan, to explore the materials employed by the various nation’s pavilions. In our final post in a four part series we look at the textile structures. Textile elements are ideal for use in temporary structures. Large areas can be covered at low weights and therefore the supporting structure can also be minimised. Three dimensional forms are also simple to achieve, allowing dramatic architecture on a pavilion-sized budget. The pavilions of Mexico, Germany and Kuwait were all produced using translucent, semi-open membranes supported on a metal structure, taking advantage of the benefits the material offers but using it to different effect. The leaf-shaped elements of the Mexican pavilion, intended to look like a corn husk, were formed by a PVC-coated polyester tensile cloth with an openess factor of 28%. 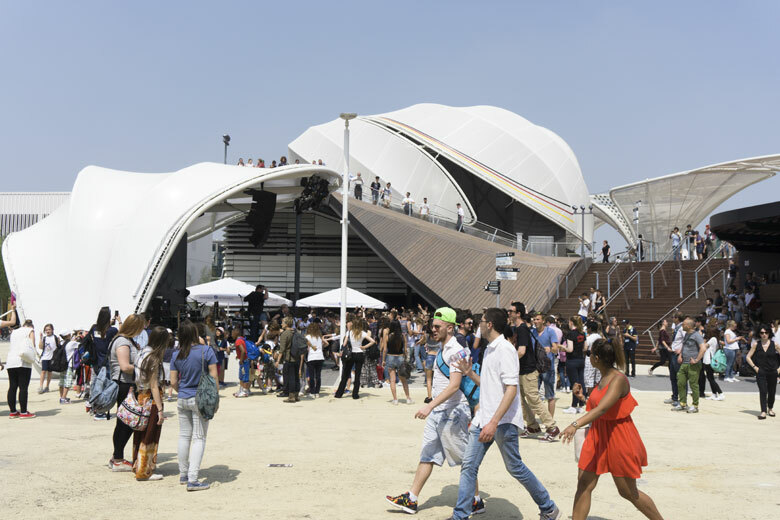 This relatively large openness provided solar shading to the open and glazed areas of the pavilion while also giving depth to the facade through the layered elements. 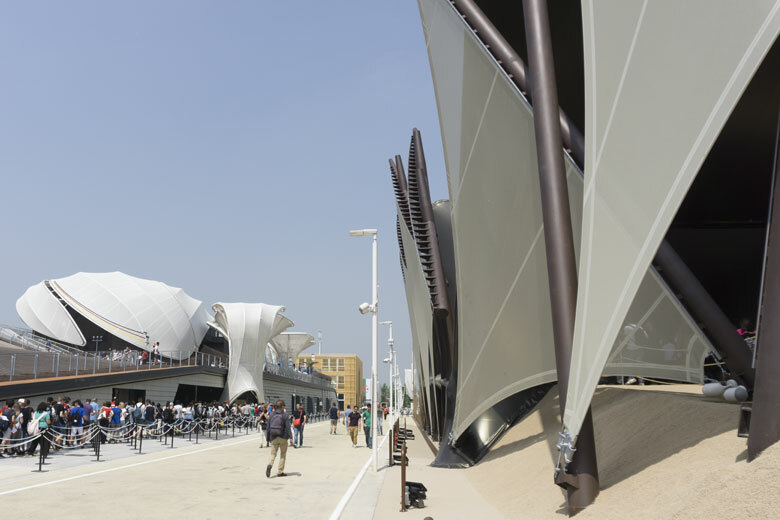 Again, a high-tensity PVC-coated polyester textile was used for the ‘flowers’ that comprised the shell of the German pavilion, this time with less openness creating a more solid form and a more shaded interior. 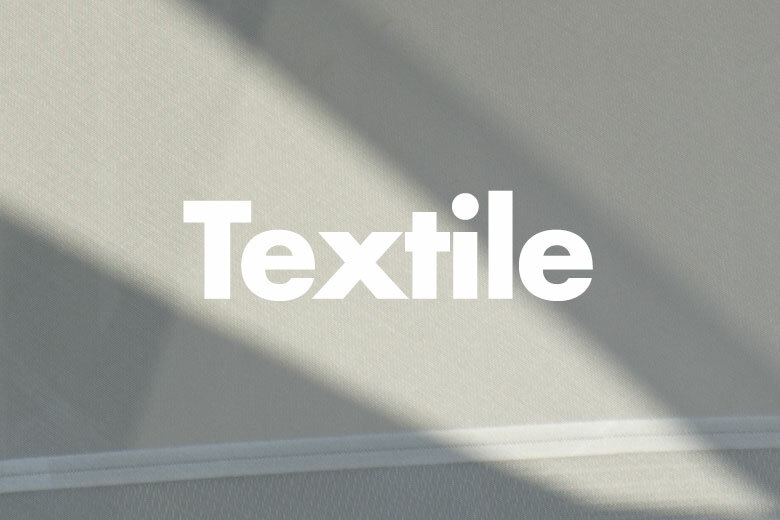 Thanks to the pre-tensioning technique used during the manufacture of the textile membrane, whereby the fibres of the polyester base cloth are held in tension throughout the manufacturing process, the cloth will not sag over time. 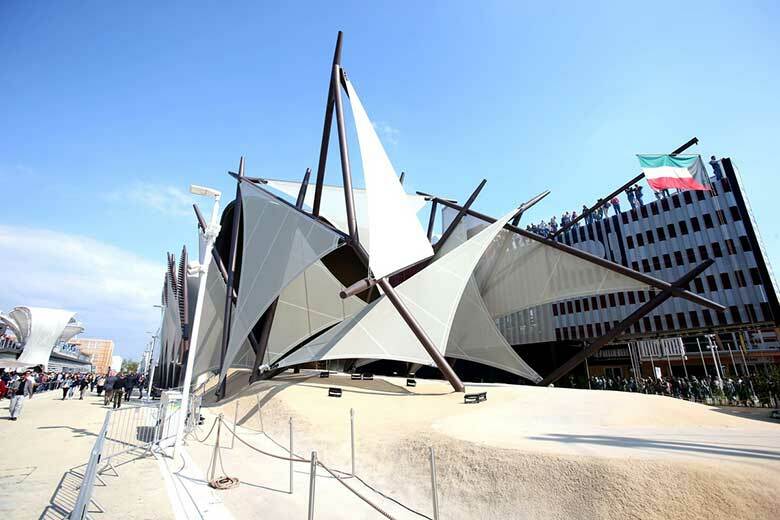 The Kuwait pavilion used a similar textile stretched in more traditional sail formations, symbolically suggesting the form of a traditional ‘Dhow’ ship. 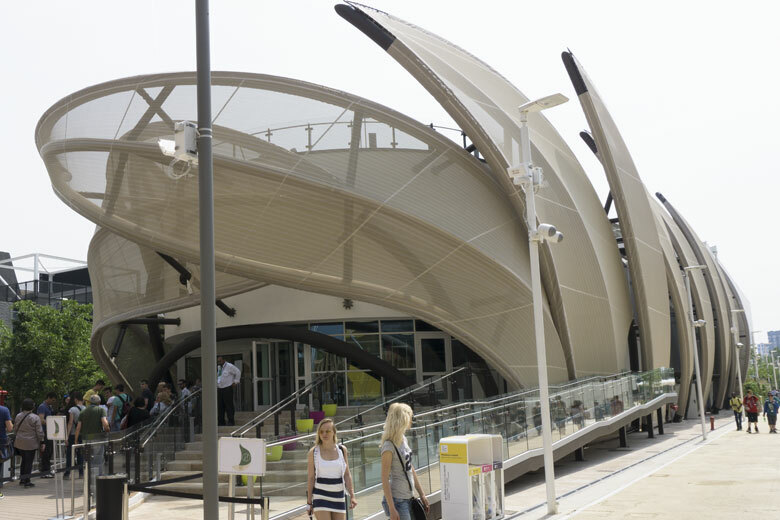 The fragmented, overlapping sails created a dynamic entrance. The open structure allows some vision through the sails, and shades the entrance to the pavilion where visitors will queue at busy periods. 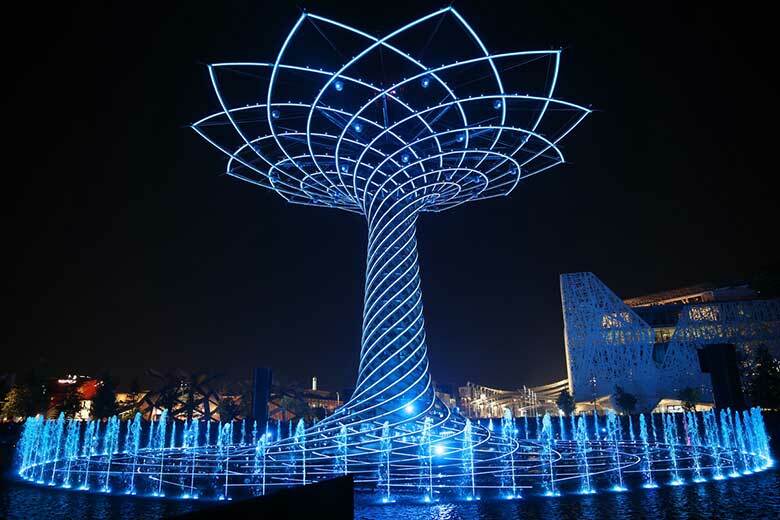 And that concludes our whistle-stop materials tour of Expo Milano 2015: see you in Astana in 2017!